The review: In this fifth installment to underTaker's series of Duke maps Duke returns to where he belongs - the city. 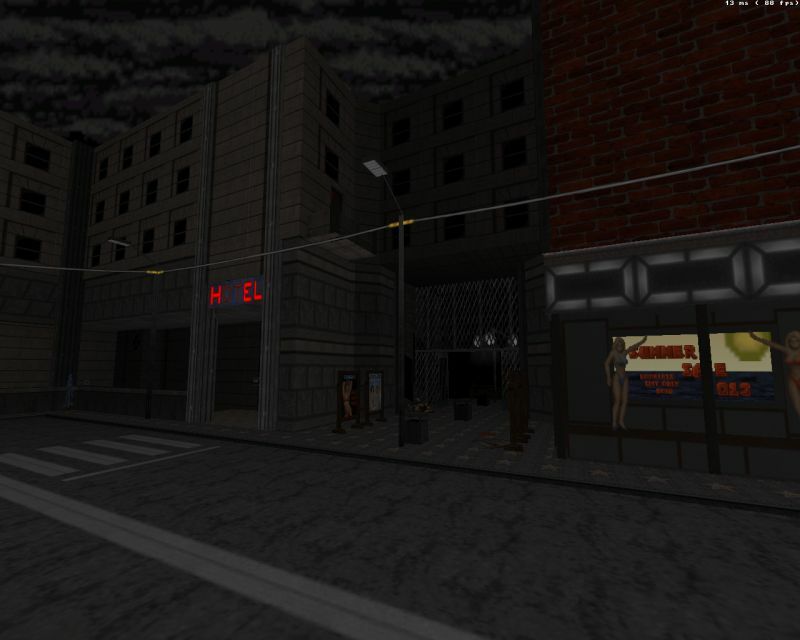 And this city is so infested with the alien seed that you're either clicking or holding down the left mouse button constantly: The monster count exceeds 300 which is perhaps a bit too much for my taste, especially considering the fact that in this map you often find yourself fighting in narrow corridors, facing aliens in all directions. Sure enough, there's plenty of ammo & health lying around but a more moderate monster count would have made for a less exhausting and therefore more enjoyable experience. Design-wise the map is very good with good use of the "fake" room-over-room effect. There's action on every level, from sewers and caves to top floors of buildings. And at the edge of this city lies a desert area with a cave which is a nice switch from the narrow urban passages of the map's first two-thirds. 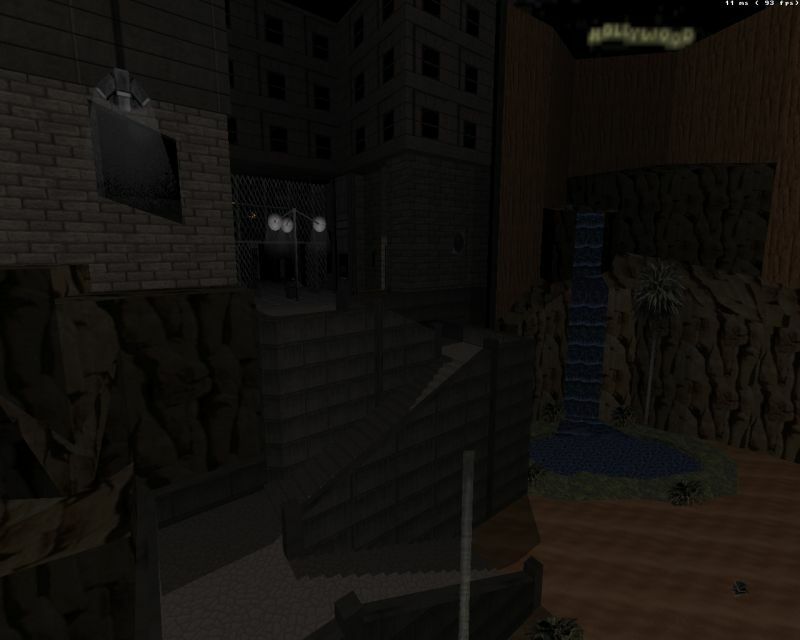 As for gameplay, the layout can be slightly confusing due to the map's considerable nonlinearity. There are narrow passages, side routes, vents and doors all around you. Unfortunately this is combined with a slightly confusing button puzzle that could have been better explained with in-game hints. On top of that, the cave section has another puzzle that may have you scratching your head due to a lacking feedback mechanism, making it easy for the player to miss something essential. This is a pity as the puzzle had some good things going on for it. Combined, these issues had me wandering around for at least twenty minutes. Conclusion: Border Town is an ambitious piece of work, taking more than 30 minutes even with perfect knowledge of where to go. It's also well designed and balanced but the map's gameplay suffers from some setbacks that could have been easily fixed. Overall the map does not feel quite as polished or as original as its predecessor but its nonlinearity and abundance of secrets should reward those who wish to play it more than once.